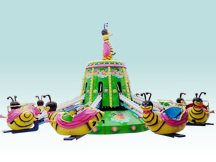 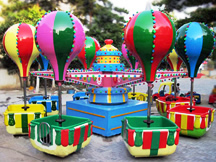 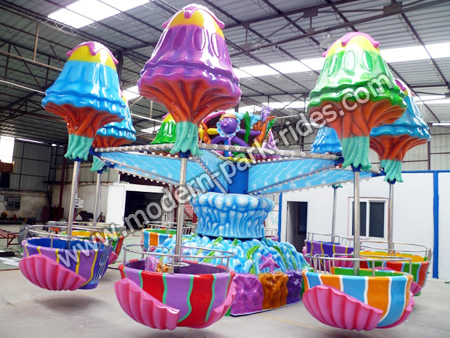 Park Rides Jellyfish Rides is very similar to the form of samba balloon amusement, the appearance of a jellyfish shape, new, beautiful shape is very attractive. 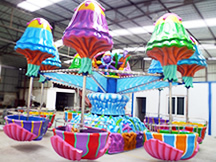 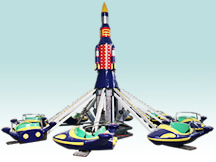 Happy the jellyfish middle of the shaft shape, such as Underwater World, eight jellyfish around the shaft to rotate up and down below the seat, the seat itself with the rotation. 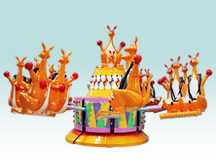 The machine is equipped with lights, night Colorful eye-catching.